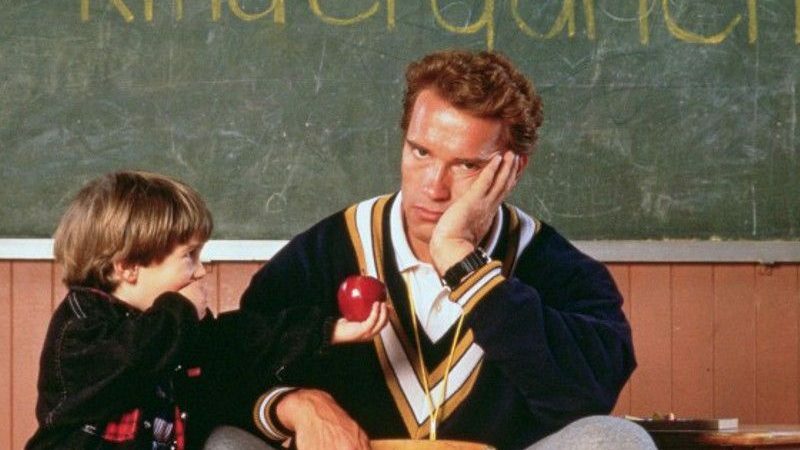 Arnold Schwarzenegger was the top action star in the 80’s with films such as The Terminator, Total Recall and Commando but here takes a step into a more comedic role of a stand in teacher in Kindergarten Cop. John Kimble is a no nonsense cop who has been on the trail of drug lord Cullen Crisp (Richard Tyson) who is obsessed with finding his son and ex-wife (Penelope Ann Miller) and it is up to Kimble and new partner Pheobe (an excellent Pamela Reed) to find his son first and catch the criminal once and for all. 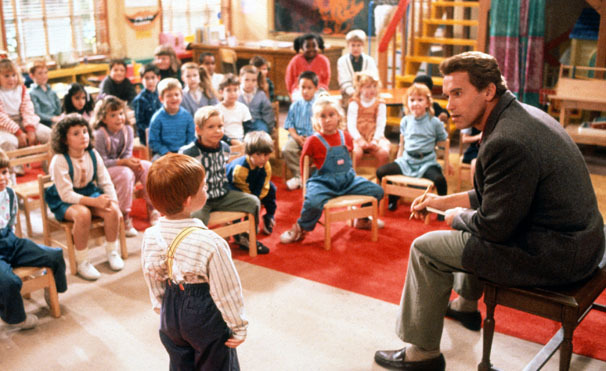 To do this Kimble has to become a Kindergarten teacher after the original choice of Pheobe falls ill.
Not only does Kimble have to endure a class of unruly 6 year olds but also drug lord Cullen, who has found out where his ex wife and son are hiding. Director Ivan Reitman keeps the balance between action and comedy pretty well, although a few scenes of violence are jarring compared to the rest of the film. 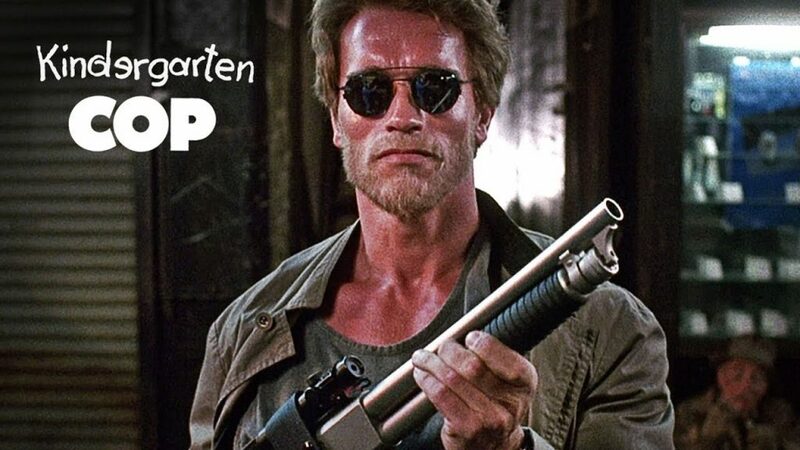 While Arnold’s acting was never going to win him any Oscar’s, he handles the comic moments well especially with the good supporting cast which includes Linda Hunt as the feisty headmistress of the school. An entertaining, fun and enjoyable romp with plenty of suspense and laughs. The Blu ray released from Fabulous Films in the UK is servicable if a little bland. The transfer is ok, if a little soft and flat in places. While it will not have you gasping at the quality it is a slight upgrade from the previous DVD release. Audio has DTS 2.0 stereo sound and again is OK, nothing fancy but does the job. Extras are dissapointing, just a trailer. A retrospective documentary or something more would have been welcomed.